Q: How would you describe Routier in your own words? 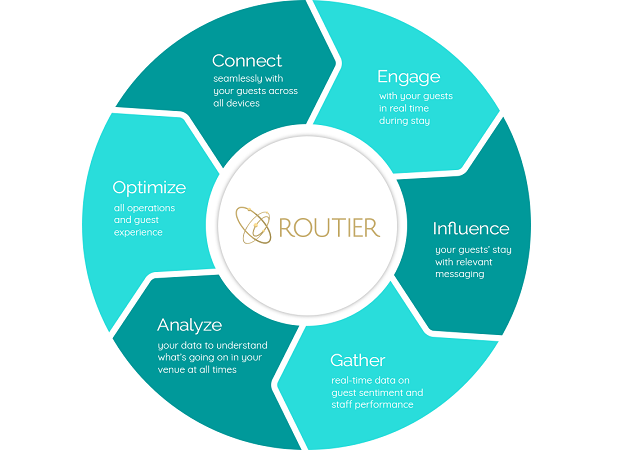 A: In the highest level overview, I would say that Routier gives hotels and hotel groups the tools they need to adapt quickly to change in order to capture and capitalize on opportunities in real-time. Whether it be to solve a guest’s issue during their stay, or optimize staff performance at a hotel, or to ensure that all your properties are maintaining brand integrity, they key is creating instantaneous information that is easily accessible for every player. But to take it a step further, we don’t just give rich insights, we also find ways to follow up automatically according to what the insights tell us in real-time. Routier provides hotels and small to medium sized hotel groups/brands with during-stay seamless (no downloads required) engagement, operational, and marketing solutions on three levels (brand, property, and guest) so that they can easily and efficiently improve brand reputation, optimize staff and property performance, and increase guest satisfaction and loyalty. Q: Who are the primary clients of Routier and what are some of the key challenges you are helping them solve? A: Currently, hotel groups and brands are using indicators that measure their properties’ performance levels after the guest already leaves the property; this is how they are obtaining guest feedback as well. But isn’t that a little too late? Wouldn’t you rather be in-the-know of what’s going on during the guest’s stay instead of waiting for the guest to leave and then finding out, especially if the guest had a negative experience? It’s kind of like driving a car; you need the engine light or gas tank light to alert you ahead of time so that you can prevent your car from stalling or getting stuck. Imagine if you didn’t have those indicators and were driving never knowing what the status is. If you know in real-time, you can react quickly and solve the issue immediately so that it doesn’t cause problems. So we’re changing this. No longer will hotel groups have to drive blind. In fact, they and their properties will be empowered with the right information at the right time in order to ensure that every guest leaves their property with a smile. Our clients use Routier to identify, measure, and monitor their properties’ performance levels in real-time and gain the clarity they need to create benchmarks and data-driven business targets, form incentive programs that improve performance, optimize hotel operations and marketing effectiveness, and ensure all their properties are keeping up with brand standards. Routier’s Unified Performance Index (UPI) is a performance score, available exclusively to Routier clients, used by hotels and brands around the world as their standard measurement tool for benchmarking their properties’ operational and marketing efforts. Our platform is created to make our clients lives easier; we enable them to receive the information they need easily and react in a scalable manner. Q: Can you give us a little more insights into your solutions? A: We have a robust set of solutions that are adapted for either guests, properties/staff, or brand/management level. Our guest-facing engagement solution helps hotels and guests communicate with each other in real-time, during their stay, without downloading or installing a thing. Whether you want to measure satisfaction, identify issues, increase your loyalty enrollment, or deliver promotions or other marketing campaigns, you can do this all with our engagement tool. 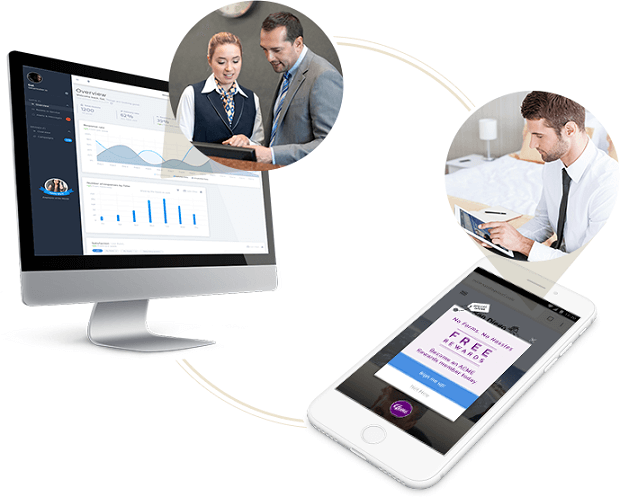 Our back-of-the-house property solution automates all guest engagement processes for hotels and provides their staff with analytics and insights that improve and optimize staff and hotel performance, guest satisfaction, and ROI. And of course, we went over the brands solution in the previous section. Q: How do you think the digital revolution will transform the hotel industry? A: In the past decade, nothing has affected hospitality and guest service more than the digital revolution. It’s taken the power from the brands and put it in the hands of the customers. No longer do customers have to depend on mass messaging and getting information only from the brand. Now they read an average of 11 reviews before making a decision on where to stay. They love user-generated content, they love images, and mostly, they love being engaged with relevant messaging across the channel of their choice. For so many years, the hotel industry has mastered the art of pre-stay and post-stay, but has struggled to digitalize the during-stay experience of the guest. We believe that Routier is the answer to the present and the future of maximizing the during-stay experience. We aim at conquering all channels of communication to make every interaction seamless for the guest. We aim at creating a one-stop shop for staff so that they can automate all their guest processes from one platform. We aim at becoming the standard for hotels and hotel brands around the world so that they can optimize their business performance and gain the competitive edge they need to reap the best results possible.